Are you looking for Fitness WordPress Themes? Looking for wordpress themes that can be suitable for your fitness or gym center? If yes, then here is a list of Gym & Fitness WordPress Themes that can be perfect for your Fitness, Yoga, Sports, Dance, Personal Trainer and Health center. All themes in this list are high quality themes with all modern features that can be really effective for your fitness & Gym center website. 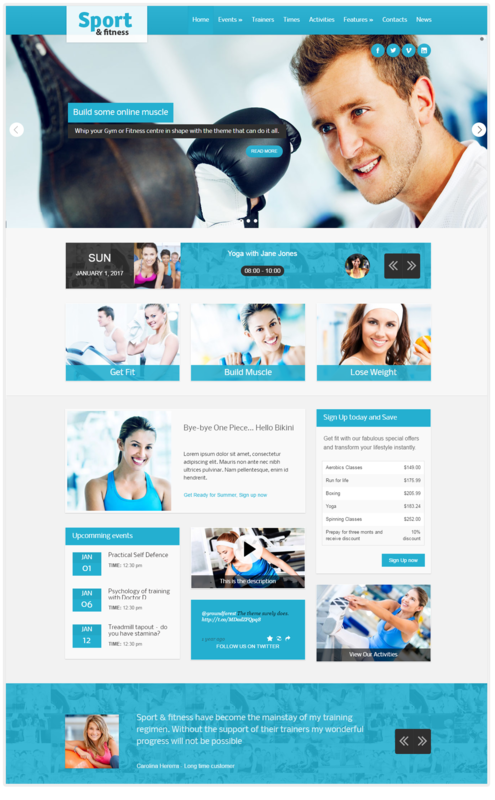 Responsive & suitable fitness wordpress themes for Sports clubs, Gym, fitness centers, Yoga Center, personal Trainers & also for other sports related centers or clubs. Theme is designed specifically for sports related centers or gyms so you can see the theme features like training schedule or class timing section on theme demo. These are perfectly suitable for training, yoga & gym centers. If you are looking for a theme for your gym or yoga center then this can be the perfect choose. Check out the demo and see what all features theme has. Fitness Zone is another one of the best gym and fitness wordpress theme that you can try out for you fitness center. It’s fully responsive theme with many awesome features that can give your fitness center website all that you are looking to have. Theme customization is also really simple. You don’t need to be technical person to setup content on website. Everything is designed to be as simple as it can be for users to upload content, images or videos on site. You will get 5 different homepage layouts with 5 different header designs. Many more features check out theme demo to get an idea how your website will look. 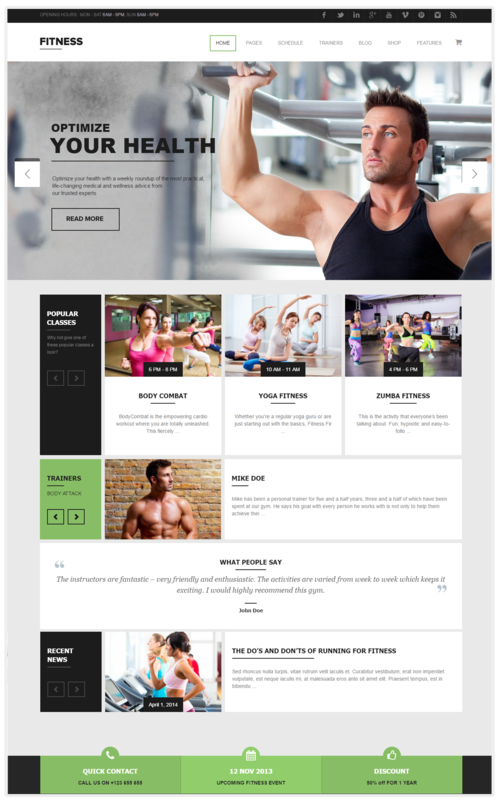 This fitness center wordpress theme is ready to use theme, I mean you can upload the al demo content to your website from this theme. And after that all you need to do is replace text, images and video with your original one. By doing this you will save your time and also will skip steps for creating website layout. Uploading demo content will give your website the exact layout look that you can see on demo theme. Isn’t it cool? Fitness Club includes all key features that most of the themes in this list provides, responsive design, easy customization and Woo-commerce support etc. 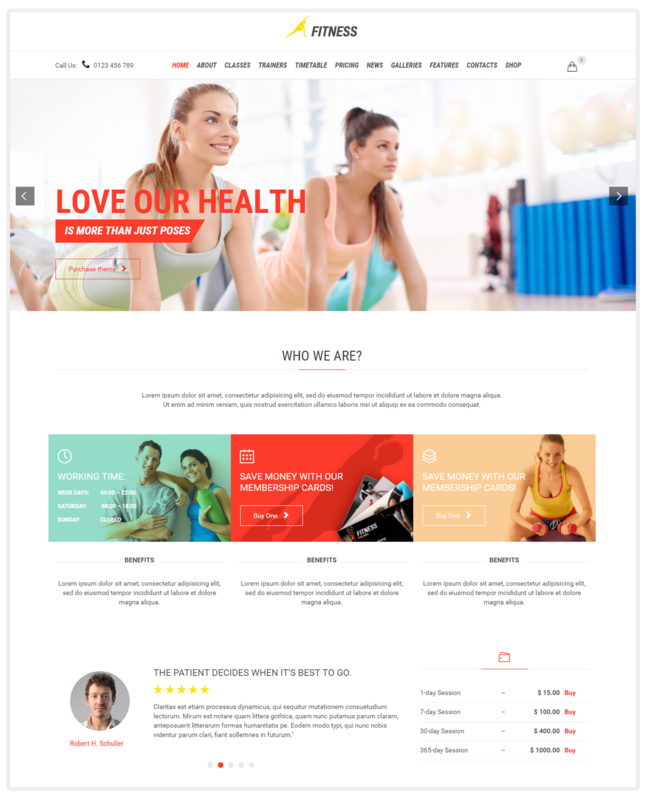 Outstanding wordpress theme for health, gym, fitness, yoga, personal trainer and wellness centers. Theme will give your fitness center a perfect layout with all modern features that you need on your website. Theme includes special pages for your portfolio, classes, trainers, shop design and other important pages like sport or health. Some of the key features of Barcelona Fitness WordPress theme are 3 homepage layout designs, allow you to customize theme separately for different web browsers, advanced blog section and woo-commerce support. Now here is a theme that meant for yoga centers, fitness centers and dance centers. The best part of this theme is its yoga timetable section where you can display timing of yoga classes of different sessions. This can be really effective for yoga and dance academies. Another feature that can be effective for yoga centers is its gallery. You can create multiple galleries for different yoga asana. 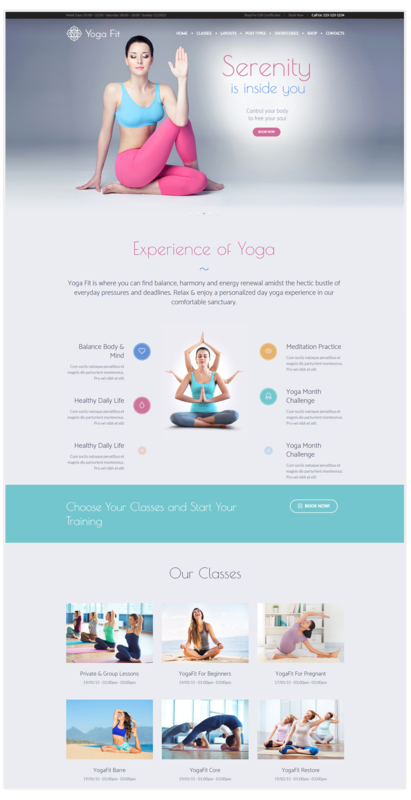 Yoga Fit theme comes with some of the best plugin collection that will help you build your website layout. Responsive fitness and gym niche wordpress theme comes with visual composer page builder, Revolution slider that give your website header an attractive and beautiful layout, one click demo content installation, easy to use and powerful admin panel, different color variations, support for video in background, simple contact form or inquiry form builder, subscribe form and excellent contact form design. 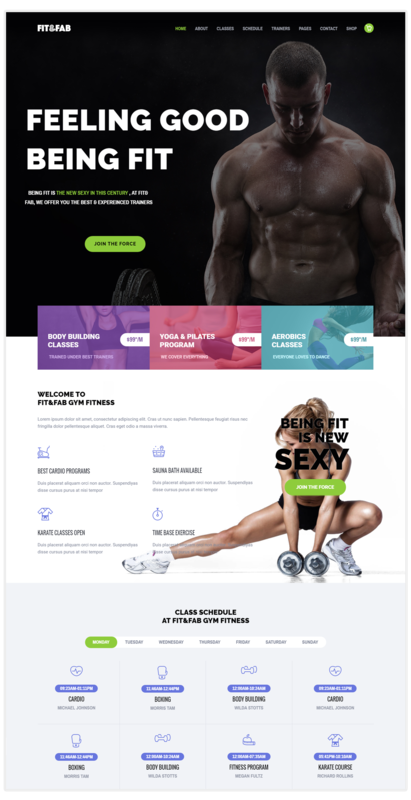 Be Fitness wordpress theme provides Woo-Commerce support so if you want to add a shop section on your fitness center website to sell fitness accessories or gym equipments. With Woo-commerce support it makes this simple to setup a shop section on your wordpress website you can check out the shop section in Be Fit theme demo. Also to make website effective and informative there is a timetable section too that help you to display fitness session timing for multiple groups. And Event Calendar section helps you to show schedules of special fitness and yoga seminars. Theme is mainly designed for fitness, yoga and health centers. 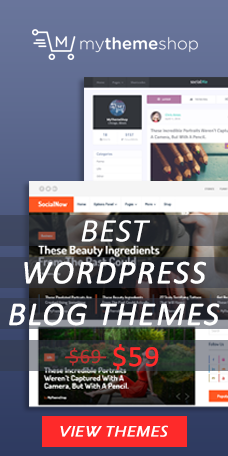 It’s a flexible wordpress theme so if you want to try this for other different purpose website then you can use it. 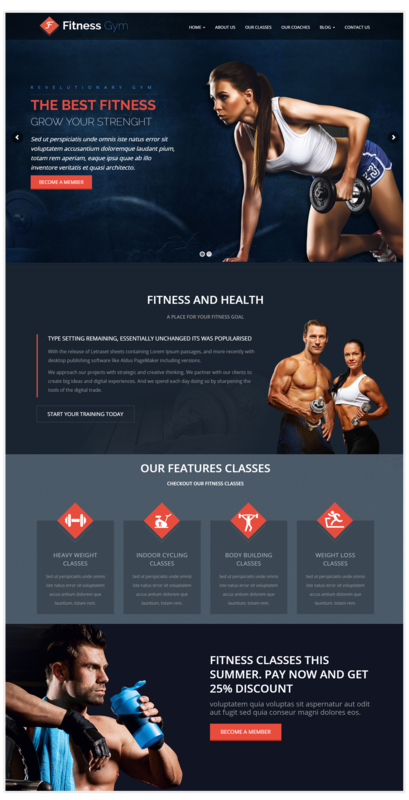 Fit theme is fully responsive, come with fully custom trainer, classes and other custom pages. This theme will work for you if you are looking to show gym events, timetable, event calendar, gym trainers section and other gym activities on your website. Sport & fitness theme for Gyms & Fitness clubs allow you to display all above mentioned sections on home page in a manner that can make you look different than your competitors. Love Fit theme allow you to display high quality workout video on home page with other informative stuff. 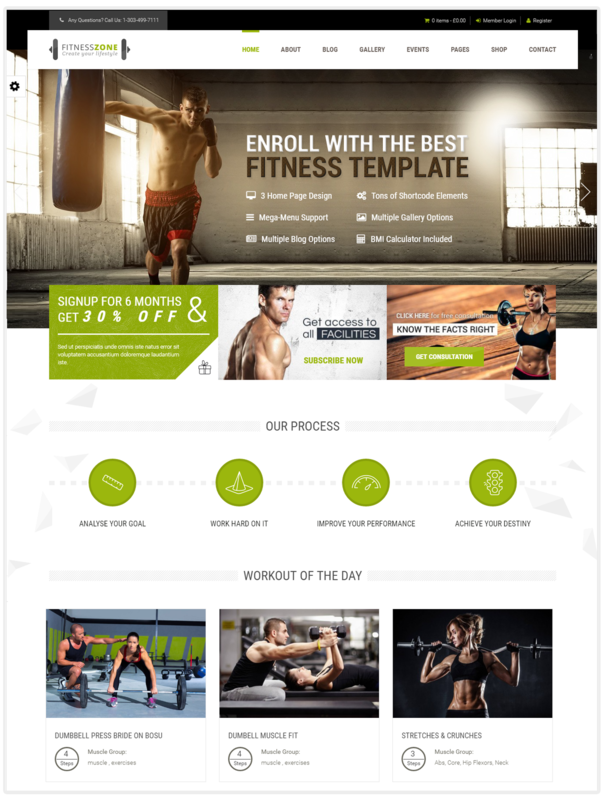 It’s a HTML5 template that is best suitable for fitness and gym center websites. Theme features include video at homepage background, layer slider for homepage, 4 different homepage layouts to choose from, responsive to best fit all sized devices, Google Font Support, Google Map, Fixed sidebars on scroll and many more. 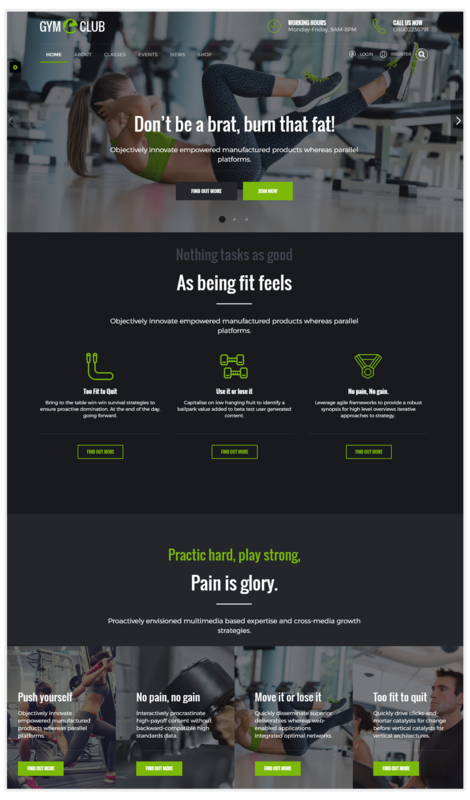 Responsive wordpress fitness and gym center theme. You can try this theme out for sports center, Yoga and Personal trainer website too. Theme customization is really simple, you can customize theme layout out according to your requirements. Adding new sections to theme layout out is easy just drag and drop. 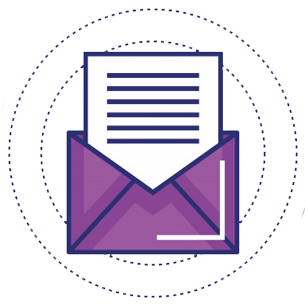 You will get free plugins, one click demo import and 24/7 support. What makes this theme special is the technology that has been implemented in its development. It has been coded in LESS CSS, which makes choosing the color theme quite easy. Using Fit & Fab WordPress multipurpose theme, you can create 100% W3C validated & SEO-friendly web pages, thus making them capable of securing top position on search engines. Take your sports and fitness business to new levels with FIT & FAB WordPress Fitness Theme.